A super shot of this lovely little parrot. Beautiful bird and shot of it! Wow, I've never sighted this one. Pretty. Are those the adult feathers or is it still a juvenile. I am not familiar with this particular species of Rosella. It is very pretty. Stunning capture! Love the POV and the colours. How beautiful! Love the speckled coloring. looks like a youngster. Lovely clear shot with a soft background. 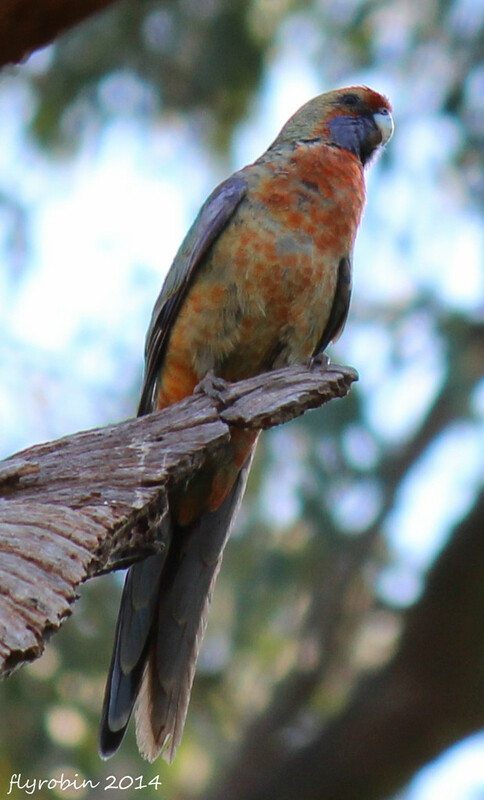 I do believe Australia has the most gorgeous birds! Beautiful shot. Great pov, I haven't seen this Rosella before, they are a bit similar to our eastern Rosella, I gather this is a female because the lucky males are so much brighter in colour. Beautiful bird on a great back ground Robyn. fav. The bird is perched on what looks like a bird wing. Awesome capture!!! Love this beautiful bird!!! A beautiful capture of this lovely bird. I like his pose and how his tail feathers lay. I've never seen one -- it's such an interesting looking bird and I like your composition. Great shot, I've never seen one of these before. Is this a juvenile? Great composition and colors of this bird! A great capture and composition. Such a lovely parrot.